Peter Dennis Blandford Townshend has spent more than fifty years now as the principal songwriter and guitarist for British invasion act, The Who. Let's just call him Pete Townshend, so we can be sure that everyone is on the same page. Speaking of pages, besides being a songwriter, a multi-instrumentalist, and sometimes singer, Pete a man of letters. Townshend's penchant for pens and not swords dates all the way back to 1970. Renaissance man he may be, but Pete Townshend will probably always be thought of as the guitarist for The Who. Hey, when you have a tendency to destroy perfectly fine guitars onstage, you get remembered as a guitarist. There is something definitely hinky in that, but he's a master rhythm guitarist, the likes of which is not often seen. In a time when soloing became everyone else's fixation, Pete was instead focusing on songwriting, and playing stellar rhythm. What about Pete's lead playing? Townshend is an absolute master at finding the notes that make the most impact and putting them right the heck where they need to be. 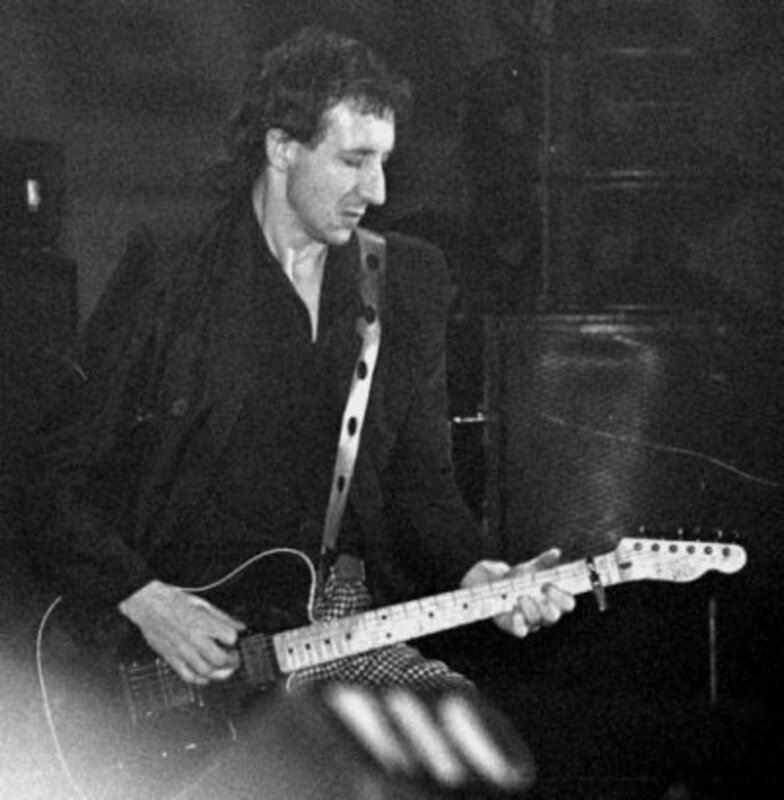 When Dave Marsh's book, The New Book Of Rock Lists was published, Townshend was ranked as the 3rd greatest rock guitarist. Gibson.com's top 50 list has Pete at number 10, and he ranked the same on Rolling Stone magazine's list of the top 50. Pete Townshend has an estimated worth in excess of one hundred and five million dollars. That's what I call a six-string success story! A Short biography of Pete Townshend. His greatness as not just a musician, Pete is not just a guitarist and songwriter, but a master of many instruments. Information for the two Schecter PT guitars which represent Pete's Schecter era of guitar playing. Eleven days after victory over the Nazis was declared in Europe, Pete Townshend was born in what is now thought of as west London. Both of his parents were very musical persons. His father played alto saxophone for the Royal Air Force, and his mother was an orchestra singer. Both parents had drinking proclivities, and were known for having fiery tempers. Pete's early years were not especially stable. His parents were constantly fighting and often away, they sent him to live with his mother's mother, and in later years Pete would describe his grandmother as being clinically insane. His parents would get back together, and buy a house. They'd bring their boy home to live with them, but Pete says he had a lonely childhood. The same year, 1956, Pete would experience bullying for having a large nose, but his grandmother would purchase for him his first guitar, and this would allow for him another avenue of escape from socializing. It was an inexpensive Spanish style acoustic, and his father would teach him the few chords he knew, but Pete had made a close friend, John Entwistle, who'd later become the legendary bassist for The Who. In school Pete wasn't doing so wonderfully. He didn't have the grades to go to a university, but managed to get into Ealing Art College, where he studied alongside future greats like Ron Wood and Freddie Mercury. Soon he'd decide to focus on music exclusively. Pete and John Entwistle's first attempt at a band was a traditional jazz outfit called The Confederates. In this Pete would play banjo. Besides guitar and banjo, as time went on, Pete would acquire skill at the accordion, keyboards, mandolin, violin, bass, drums, harmonica, and ukulele. Fate is always in motion, but in 1961 it would lay down some winning cards as Entwistle joined a band known as The Detours. In that band was a young guitarist by the name of Roger Daltrey. He was a curly headed fella with a bigger voice than physical size, and Entwistle would recommend a second guitarist join this group, and of course that would be Pete Townshend. Everyone including Pete thought of The Detours as Roger Daltrey's band. He was a powerful sort of personality, but it was Pete's own parents who got the band management, and its first recording, which was one of Pete's own songs. Soon Roger would ditch the guitar, embrace singing, and agree the band should change its name to The Who. There was still one element missing. The drummer for The Detours had to go, and in was brought Keith Moon. Keith's style was unique, and his personality loaded with self destruction. Rolling Stone has him listed as the second greatest drummer of all time. Well, with Pete, Roger, John and Keith, The Who was truly born. There isn't any doubt, The Who has been one of the most import rock bands to have ever existed. A hard rock band that performed at The Monterey Pop Festival, Woodstock, and other major events of the late 1960s, The Who has lasted much longer than most, and has sold over one hundred million records. In the early days of rock music, everything was all about making a hit single. Well, The Who did that, but they became a much more serious artistic unit, and focused instead on making entire albums where a concept flowed from one song to the next. This made a lasting impression on fans, and absolutely showed such bands to be something more than mere pop celebrities. Townshend, Entwistle, and Moon were fantastic instrumentalists, and the three were all very individualistic in their styles. The Who were one of the first major bands to incorporate synthesizers into the sound structure of their work, and in the context of their music, it absolutely worked wonders. When I was a kid, I had a Guiness Book of World Records, and in that book The Who were listed as the loudest rock band ever. Well, that's not really an accomplishment, it's just a matter of volume. Extreme volume was more symbolic of the rebellious attitude, I think, that The Who wanted to be known for. What really matters here in terms of amplification is that without Pete Townshend, we might not have seen the eminence of Jim Marshall's Marshall amplifiers. Pete Townshend was the man who kept going to Jim to tell him he wanted something louder, something with more gain, and without that relationship, how do you think Hendrix would have sounded? How about the thousands of others who've utilized the greatness of Marshall? 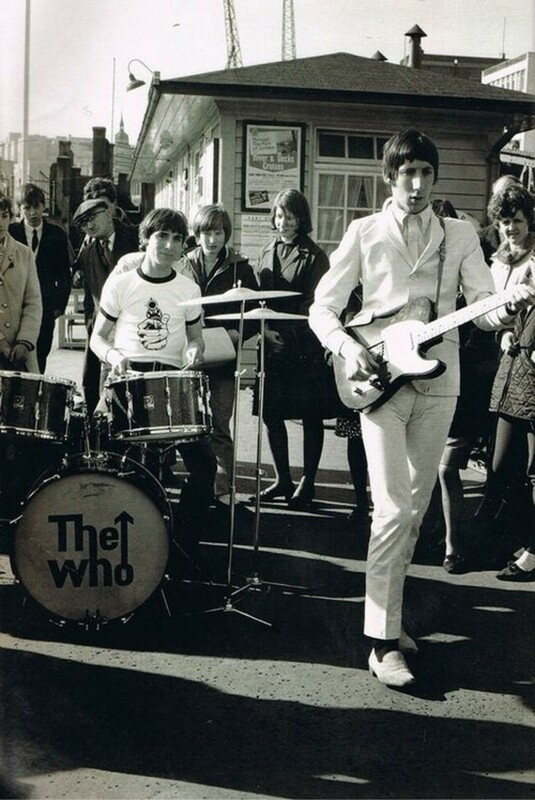 Pete Townshend was always a trend setter. Besides helping bring about the use of Marshall amplifiers, one wonders what the history of Schecter would be without Pete's help. Pete started using Schecter in 1979. 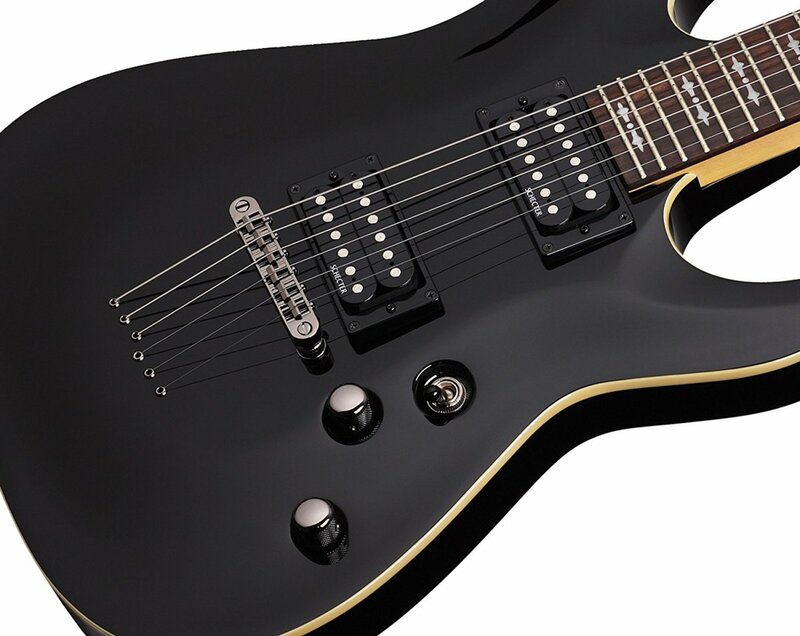 Schecter itself was formed as a business just three years earlier, but at that time, Schecter did not manufacture guitars, they merely made replacement parts for guitars. According to The Who's website, the first Schecter Pete owned was built from Schecter parts. Nothing strange about that, but what isn't said is who built it. It could have been assembled by anyone. It would be the middle of that year, 1979, before Schecter Guitar Research officially became involved in the manufacture of entire guitars. 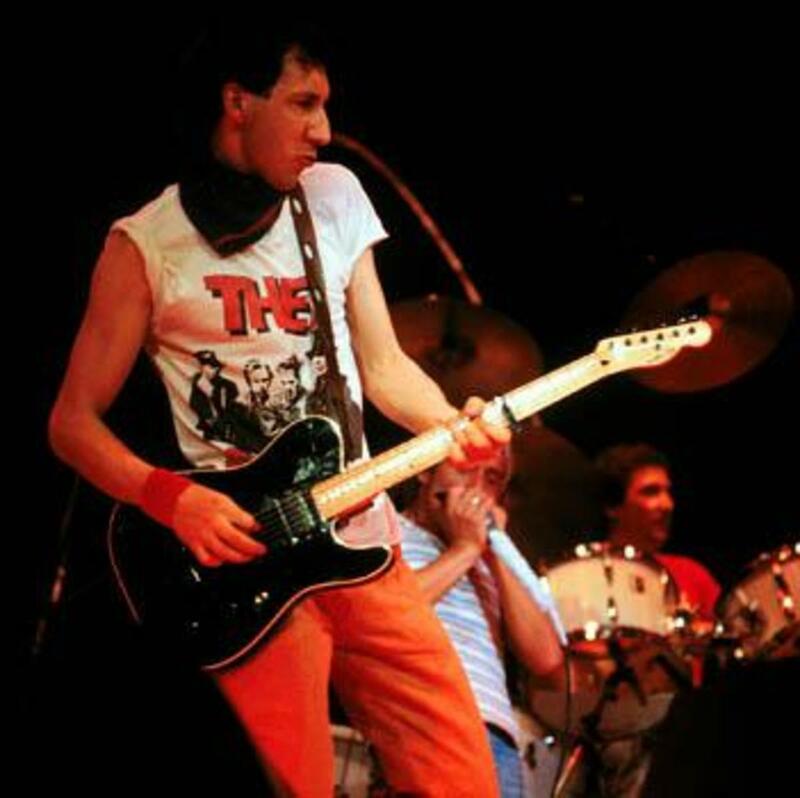 From 1979 through to 1988, Pete would play Schecter guitars. Some of them were built by Schecter, and some were built for Pete out of Schecter parts by Roger Griffin. Pete smashed some of those Schecter guitars. Hey, he's Pete Townshend, I don't like it, but that's just kinda what he does. Others are around still today, but Pete doesn't own them. I've literally seen one verified as originally his for sale. Regarding the proper name 'Schecter PT Standard,' were you to look that up using your search engine of choice, you'd see the same name is being used to describe a Schecter guitar which, for all the world, appears to be a copy of a standard Fender Telecaster. Yes, it's there, but you will also see this exact guitar I've got the image for, specifications for, and a video for here. It's a conundrum of nomenclature. 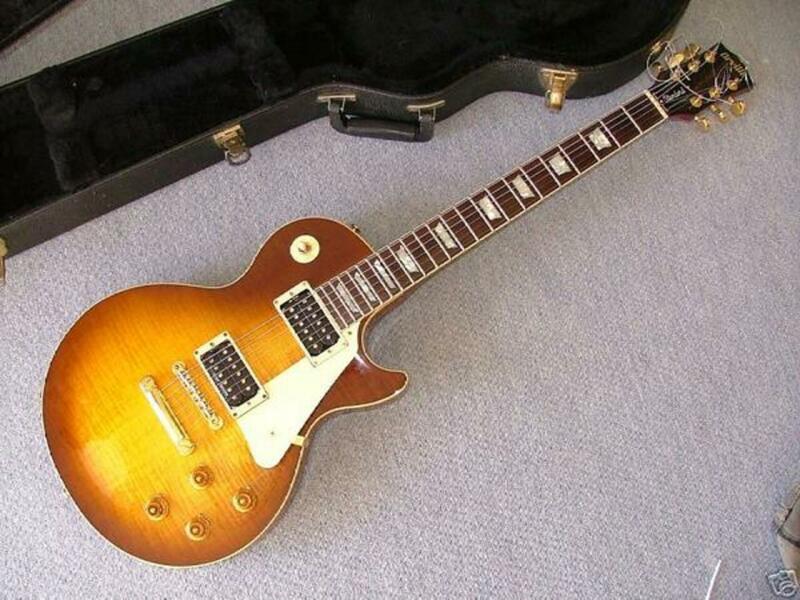 Take a look at the image, and you will see this guitar looks very very similar to the Schecter guitars I've also got images of Pete Townshend playing. This is, in fact, the Schecter PT most like the ones Pete always played. That said, Pete had a lot more of them than the one with the black body and the maple fingerboard. This is one of my personal favorite of all Schecter guitars, and besides that, I think of this specific guitar as being one of the very best, and most versatile electric guitars one can own for the roughly five hundred and fifty bucks, plus taxes, you would spend for one. What's so great about it? It's the features you get for the price you pay that makes this such a total screaming winner. You've got a great Tele style guitar with humbuckers that are fitted with coil splits. So you've essentially got single coils and humbuckers on this guitar. Schecter's reputation isn't something people question these days. People who know guitars know Schecter delivers the goods at prices US manufacturers simply can't. These days a lot of guitars are made with much flatter fingerboards than what a standard Fender guitar will have, or even a standard Gibson. This is one, as this is a 14" fingerboard radius. Not many Fender T-styles will have that radius. If you're used to a Fender standard board, you may want to play one of these before considering a purchase. I found the board comfortable enough. 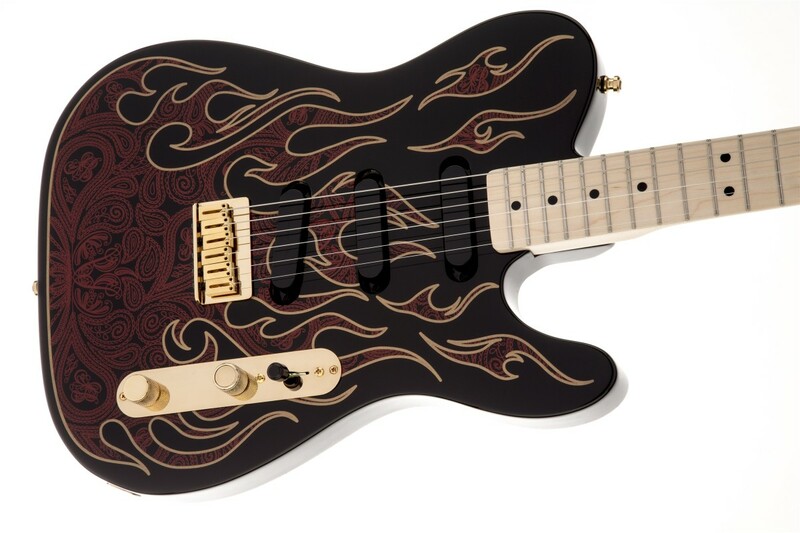 What I find absolutely amazing is the price you can get this guitar for. 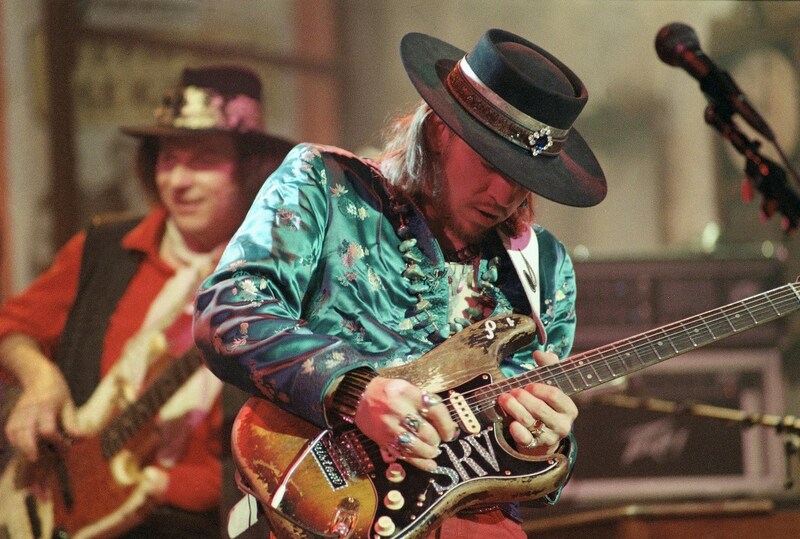 Again, it's just so much guitar for so little money spent that I always feel like pointing people towards one. 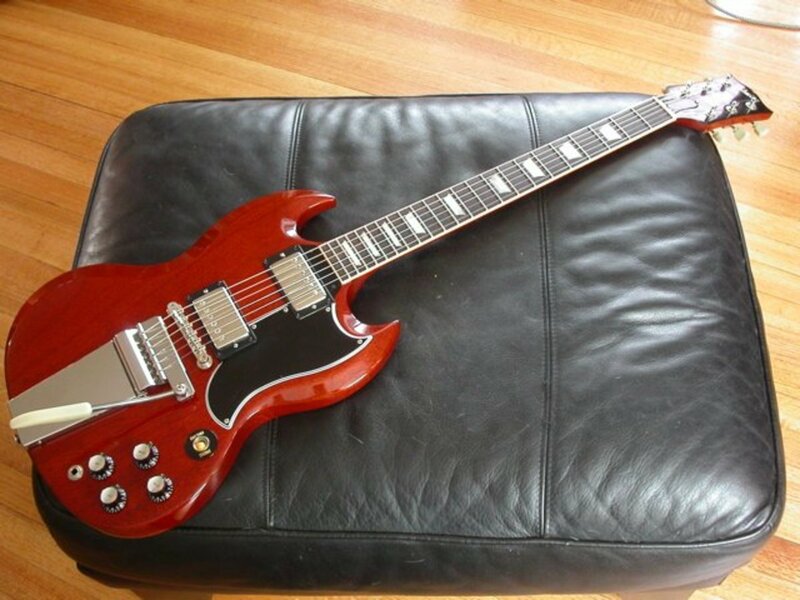 A few years back Schecter was making what was called the PT Fastback, and it was a less expensive model than the PT Standard. This is not that guitar, as this one is just a bit more tricked out than the Standard, and then on top of that, there is the Bigsby. Now to be clear about all of this in the historical perspective, I can not find any evidence of Pete Townshend playing a Schecter with a Bigsby. Well, who cares? These guitars are extremely great buys for the person who wants a PT, and then you get the added utility of a Bigsby. Now the Bigsby device is one of the first and oldest trem or vibrato devices. It is super old school retro cool, and a trained ear can hear when one is being used. It's very different from other forms of trem for the fact that you have to use a bit more force with it. You literally have to want tremolo or vibrato with the bigsby, whereas with something like a Floyd Rose, you accidentally bump that thing, and you're in trem town for sure. The Bigsby need not be thought of as a permanent affair. A Bigsby can be removed without too much trouble, and then if the right replacement bridge is used, it can also be re-installed without too much trouble. Me personally, I want to buy something which is already just how I want it, but a lot of persons enjoy changing out parts on guitars often. This guitar is a rosewood fingerboard guitar. Rosewood is neither better or worse than maple, it's really a matter of choice, but the rosewood boards are widely thought to provide a darker tone than a maple board. Our fingerboard radius for this guitar is also 14", a flatter than normal fingerboard. What other differences are there? This guitar has the control scheme of a Fender '72 Deluxe Telecaster. You've got one volume and one control for each pickup. On the PT Standard there are just two control knows, a master volume and a master tone. The additional controls allow you to create some atmosphere tricks with tones which you can't with the PT Standard, but it's up to the guitarist to utilize, or not, such things. What sort of shenanigans can one pull with additional tone and volume control knobs? Well, with the aid of an amp and another tone control, you can do the Eric Clapton 'woman tone' easily, and with an additional volume control, you can do a kill switch simulation. To wrap it up I'd like to say these two guitars are what I feel represent some of the greatness of what Asian manufacturing represents for an American consumer. These guitars, I feel, are very much on the same level as Fender guitars made in Mexico. Fender of Mexico, however, does not offer Telecaster models with features like these two guitars, and these two still sell for less than the typical Mexican Fender Telecaster. What features do these have which are uncommon in Fender's Mexican Telecaster line? Well, for one thing, the flat fingerboard radius found on either of these two is not something common to a Fender Telecaster, be it made in the USA, Mexico, or Japan. And while you can get a Tele with two humbuckers and coil splits, you will never find one new at under six hundred dollars, and that is what both of these guitars have. You have a price difference of about fifty bucks to consider, were you considering a purchase. The Fastback with the Bigsby is the more expensive model, but if you don't like the Bigsby, or your playing doesn't call for a Bigsby, then I would certainly think you'd prefer to have the PT Standard. 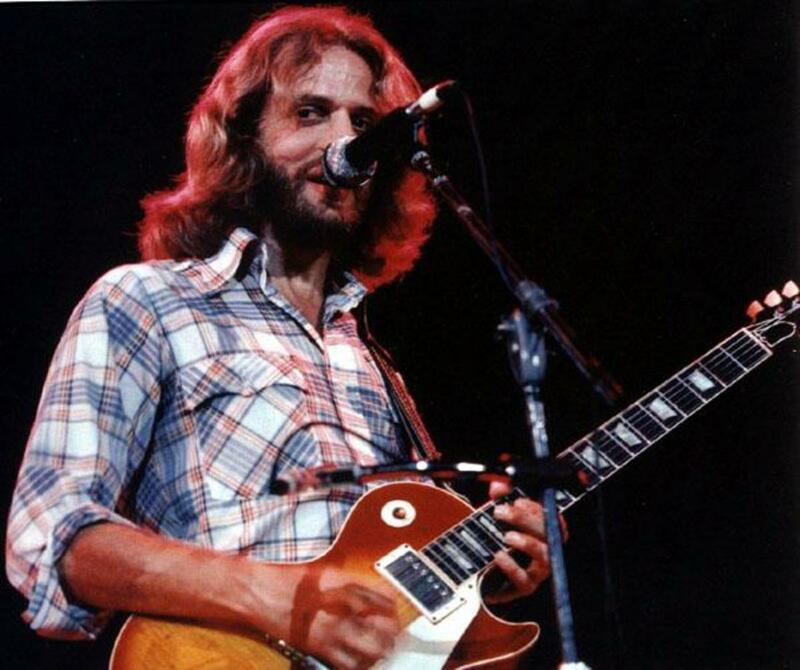 There are other minor differences, of course, a rosewood fingerboard, which is comparable in value and quality to a maple one fairly exactly, and the addition of two more control knobs. These minor differences would not make or break a deal for me, but guitarists are sometimes extreme individualists, and so they may mean quite a lot to you. Only you can answer such a question. Now please, when you hear the drummer drumming, won't you join together with the band? Thanks for reading.